International travelers need two phones to save money, maybe a BlackBerry with Verizon Global E-mail options, then buy a local prepaid SIM Card overseas. It is the custom of long term international travelers or people working location independent to have two phones. 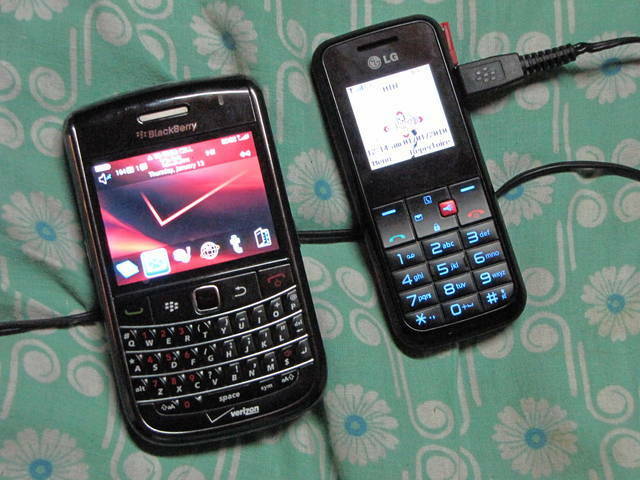 The BlackBerry Global with a Verizon Global Email account for roughly 70 dollars gives world access to e-mail and light surfing in 200 plus countries. Upon arriving at a country, I ether purchase a phone for 20 dollars, or I use the new LG I am carrying, then purchase a local pre-paid SIM card. I can make local calls for pennies, and save money, this is the normal method for long-term travelers. I then have a Skype.com telephone number, that is forwarded to the local SIM phone, and I will buy a USB Wireless Modem in-country so I can make Skype.com to land calls.